Find out what happens when Rapunzel really lets down her hair – and falls in love with a roguish prince! Is love about to bring her true happiness, or will it prove to be a tangled web? 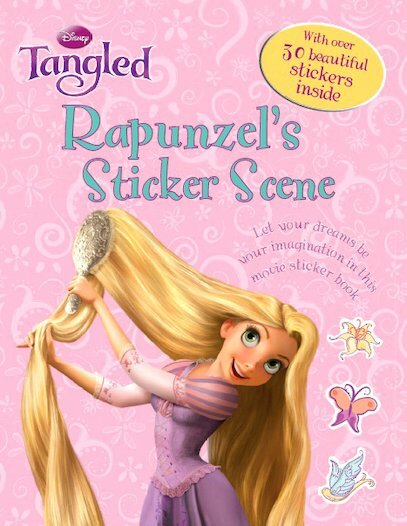 Disney’s wonderful new twist on the Rapunzel fairytale is re-enacted in this beautiful sticker scene. Follow our heroine’s adventures as she escapes the tower where she has been trapped all her life – teaming up with a jewel thief to visit her lost kingdom, and then falling for him! With over thirty colourful stickers to illustrate gorgeous picture scenes, this book brings all the magic back to life!